This weeks assignment was to make something out of two materials. I tried a couple of things that failed. 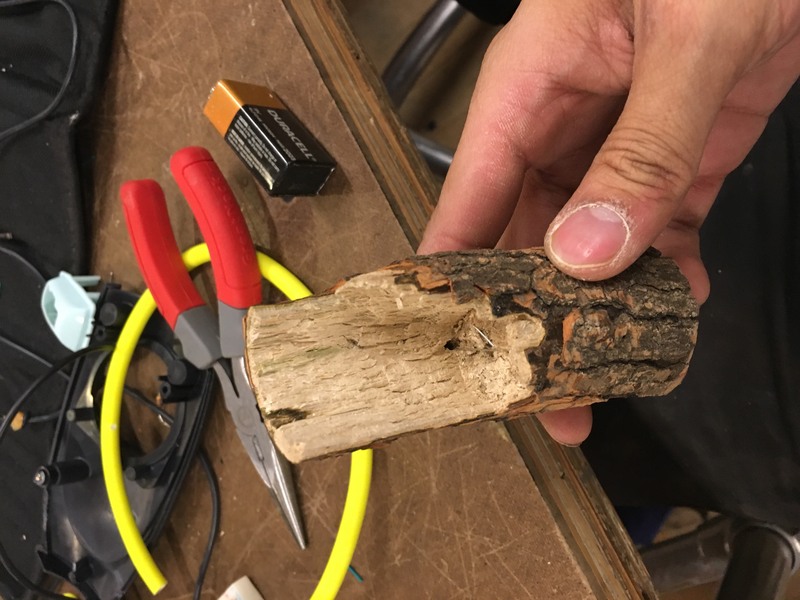 First I tried to make a log light. 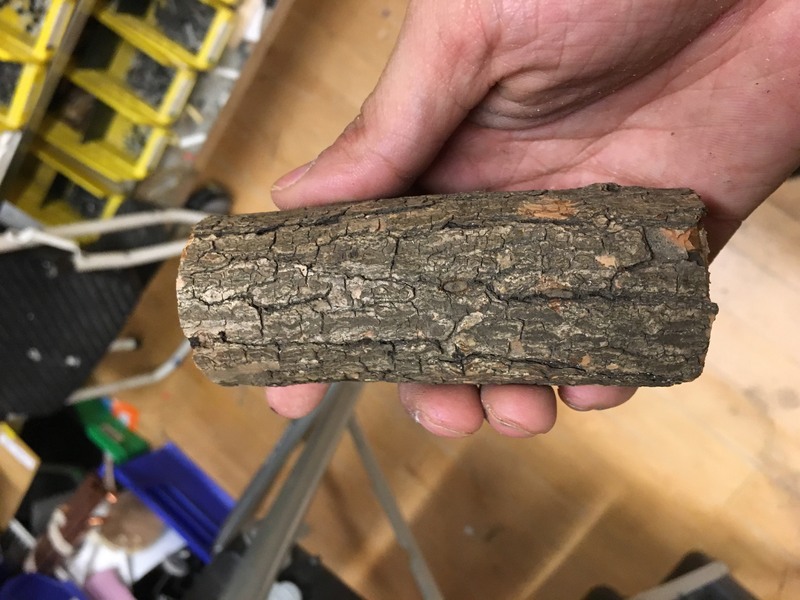 I found a branch which I cut with a band saw. I intended to enclose a battery in the branch. I hollowed it out first using regular drill bits then moved to a spade bit for the wider area. However the branch proved to be too thin and I was too impatient. So the eventually broke. With the first project ending in failure, I decided to use materials that I found in the shop. I already had a piece of pine board, and found 2way mirror acrylic and 2x4. I figured I could make a box using both acrylic and wood for my materials. I wanted to try making a top for a potentiometer as well since the pots in the shop don’t have knobs. 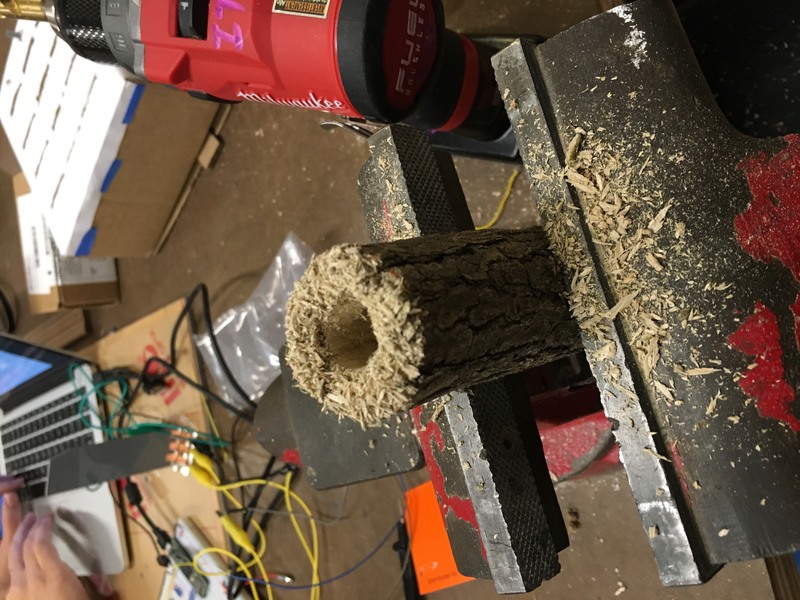 I drilled a into a 2x4 piece and was able to use friction fit for the pot. Overall I am a little unsatisfied with what I made, but crushed on time I tried to make do with what I had.